Over one million meals served to the ill, elderly, and disabled in Union County. For 50 years, Mobile Meals of Westfield has been bringing the elderly, infirm, and disabled home-delivered meals, made with love. Run almost entirely by a volunteer staff, Mobile Meals usually serves about 65 customers a day, five days a week. With a volunteer staff of 150 people, and a paid staff of only three (a cook, a kitchen assistant and a director of operations), our dedicated crew comes together every weekday morning to feed our clients healthy, nutritious meals. On July 14, 2014, Mobile Meals served our one millionth meal. It was delivered to Westfield residents, Ed and Helen Petz. Fittingly, the meal was deployed with a little more than the usual fanfare--balloons, flowers, and a camera crew from the local TV station. The Petz's had been receiving Mobile Meals for three years, and certainly didn't expect what they got the morning of July 14. But it was a welcome surprise. “It's a big relief for older people,” Ed Petz was quoted saying in the Star Ledger soon after the event. Besides a hot meal delivered by a caring volunteer, the most important aspect of our program is the daily contact our clients have with our volunteers. For some of our clients, our volunteer is the only person they will see all day. We take this responsibility very seriously. 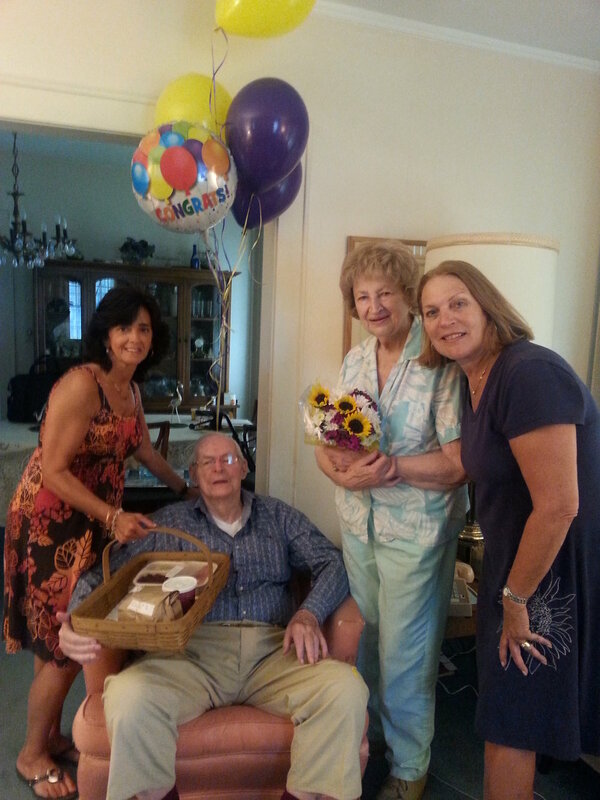 Our drivers get attached to their "people," even visiting on their own time for birthdays, or other special events. If a regular client isn’t on the list for their usual delivery, drivers will often inquire why. And if a delivery is late, the customers will call to see what's going on. Over the years, we have found some clients in varying forms of distress and were able to summon help and notify their families, several times saving the clients' lives. That kind of neighborly caring is an important element of the value Mobile Meals brings. More than just a meal delivery service, Mobile Meals also provides a familiar face and voice to interact with, and, when needed, a shoulder to lean on. Mobile Meals is also supported by several local garden clubs and scout troops. These groups generously make fresh flower arrangements for our clients several times a year and the scouts make cards and favors, often with treats, especially around holiday times. Our clients love these treats because it shows somebody is thinking of them. They also love it when our drivers bring their young children along to deliver the meals and visit. Mobile Meals was started as a pilot program of the Visiting Homemakers Association of Central Union County on October 14, 1968. The organization began making three meals a day--breakfast, lunch and dinner--that were intended for both elderly or ill adults, as well as children in a day care center in Elizabeth, NJ. This was a project taken up in conjunction with St. Paul's Episcopal Church in Westfield. Mobile Meals began with just three clients, but grew rapidly and became a fully independent non-profit organization just 18 months later. As the Mobile Meals client base and the nursery school grew, the groups were forced to separate. In June 1973, the breakfast was dropped, and Mobile Meals focused on serving its adult clientele two meals a day. Since then, Mobile Meals has grown to serve approximately 65 people, five days a week. We've been honored by several local organizations. We have had proclamations from the town of Westfield on several occasions, and from the Union County Board of Chosen Freeholders.